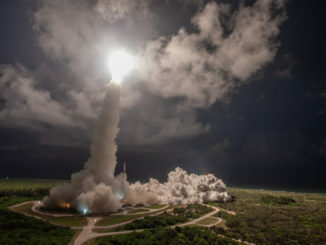 A United Launch Alliance Atlas 5 rocket fired into the night sky over Cape Canaveral just after midnight Wednesday, carrying the U.S. Air Force’s fourth AEHF communications satellite designed to enable secure voice, video and data links between U.S. and allied forces. 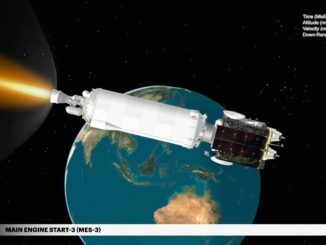 A $1.8 billion U.S. Air Force communications satellite rode a United Launch Alliance Atlas 5 rocket into orbit Wednesday from Cape Canaveral, joining three similar craft perched more than 22,000 miles above Earth to ensure government leaders can remain in contact with military commanders in the worst-case scenario of nuclear war. 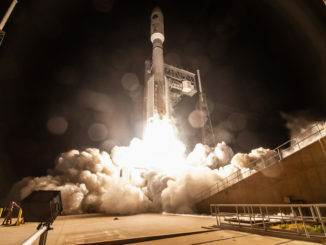 The U.S. Air Force’s fourth Advanced Extremely High Frequency spacecraft launched Wednesday from Cape Canaveral on top of a United Launch Alliance Atlas 5 rocket, expanding the reach of the military’s most secure, jam-resistant satellite communications network. 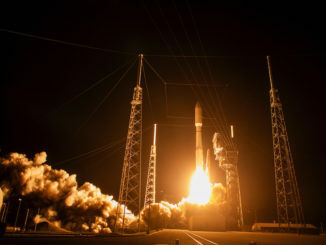 United Launch Alliance’s 50th mission for the U.S. Air Force lifted off at 12:15 a.m. EDT (0415 GMT) Wednesday. 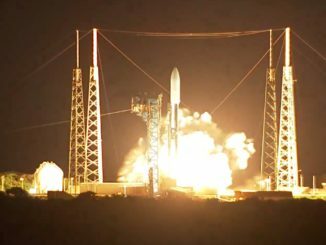 An Atlas 5 rocket launched from Cape Canaveral with the Air Force’s fourth Advanced Extremely High Frequency communications satellite. 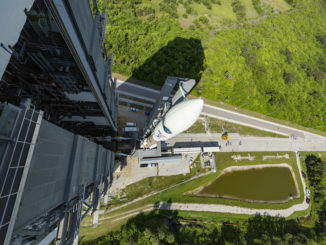 A United Launch Atlas 5 rocket is set to launch the U.S. Air Force’s fourth Advanced Extremely High Frequency communications satellite from Cape Canaveral. This timeline shows the major mission events planned over a three-and-a-half-hour flight to an optimized geostationary transfer orbit. A day-and-a-half before its liftoff with a U.S. Air Force communications satellite, a United Launch Alliance Atlas 5 rocket rolled out to its launch pad at Cape Canaveral on Monday morning. 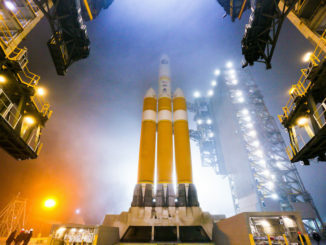 Managers have pushed back the next flight of United Launch Alliance’s Delta 4-Heavy rocket from a launch pad in California until no sooner than early December, and the first launch of SpaceX’s Falcon Heavy for the U.S. Air Force has likely been delayed to some time early next year, officials said this week.